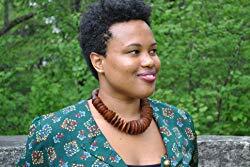 Alexia Arthurs is the author of the short story collection, How to Love a Jamaican. A graduate of the Iowa Writers' Workshop, Arthurs has been published in Granta, The Sewanee Review, Virginia Quarterly Review, Vice, and The Paris Review, which awarded her the Plimpton Prize in 2017. She was born and raised in Jamaica and moved with her family to Brooklyn when she was twelve.